To mark the end of Scripted Reality: The Life and Art of Television, Museo Jumex presents a one-day conference and events that explore the work of artists in the exhibition. Television and contemporary art have developed in tandem since the mid-20th century as part of our media culture. Through discussion, screenings and activations, these events bring together international voices reflecting on the role TV and the mass-media plays in their practices in order to cross the lines between reality and fiction. Artists: François Bucher, Asli Çavuşoğlu, Yoshua Okón and Bruce Yonemoto. Screenings of works from the exhibition, introduced by Curator Kit Hammonds. Guided tour of the exhibition with Kit Hammonds, with a live activation Derrick Adams’s work Fabrication Station #5 (2016). Curated by Alistair Hicks. Organised in collaboration with Turkey One Association. The artists Aslı Çavuşoğlu and Daniel Bozhkov will engage in a conversation about their works and the critical role of their chosen materials. Aslı Çavuşoğlu’s presentation will focus on her projects titled Red / Red (2015) and The Place of Stone (2018) where she narrates the political aspects of the colours red and blue. Daniel Bozhkov will present his projects Training in Assertive Hospitality, Edward Hopper Deposit and My dear highly venomous…and talk about his interest in the instability and extended life of materials, particularly the new meaning that comes from their accelerated obsolescence and disappearance. Aslı Çavuşoğlu: The Place of Stone book is out! The Place of Stone, Aslı Çavuşoğlu’s first US solo museum exhibition, comprises a mural-like grid of fresco panels painted with ultramarine pigments. With this new work, realized for her New Museum presentation, Çavuşoğlu extends her ongoing research into the histories of specific colors, focusing on the origins and history of lapis lazuli, a semiprecious blue stone sourced primarily from Afghan mines. Çavuşoğlu’s use of fresco, a medium that has traditionally incorporated lapis pigment, calls upon traces of this history: to this day, frescos yield information about the trade of lapis lazuli and its symbolism across centuries and cultures. Çavuşoğlu’s exhibition is curated by Natalie Bell, Associate Curator, and will be accompanied by a catalogue featuring contributions by Bell, artist Mariana Castillo Deball, anthropologist Michael Taussig, and independent curator and writer Amy Zion. The exhibition shows works in various artistic practices from the past ten years, by artists from several different parts of the world. These artists all address historiography and memorial culture in different ways. The works engage in a dialogue with contemporary social and political events and with the contexts in which the artists operate – from the silence after the dictatorship in Uruguay or the Soviet era in Lithuania, to expressions of power in post-colonial Angola and South Africa. Some of the artists transform and reinterpret traditional memorial forms such as statues and busts to comment, problematize and sometimes undermine the official history. Others create new narratives by questioning previously accepted histories or by highlighting the circumstances that contribute to the formation of collective memories. Some of the works become unofficial memorials for people and events for whom such memorials were previously lacking – memorials that oppose oblivion, repression or active erasure to become new bearers of collective memory. Instead of the commissioned and official monuments and memorials in public space, the museum and the exhibition context become the space in which collective memories are shared. In Spring of 2018, the IAC in Villeurbanne will hand the totality of its space over to artists Maria Thereza Alves and Jimmie Durham for their project devoted to the Mediterranean, called The Middle Earth. This new and original collaboration comes from the artists’ desire to explore together the territory where they live, in a poetic and critical fashion. Divided into specific fields of knowledge, from archeology to biology by way of climatology, The Middle Earth explores a multiplicity of sources. Playing with universalist models, Alves and Durham’s dialogue hijacks the apparent objectivity of classification in order to deploy an active dialogue between recent artworks and archeological and ethnological objects in each category, with writing that places itself somewhere between the poetic and the scientific. From 11 October 2017 to 5 March 2018, ‘Being Modern’ reveals a selection of 200 varied works, including paintings by Max Beckmann and Paul Cézanne, sculptures by Alexander Calder and photographs by Walker Evans. 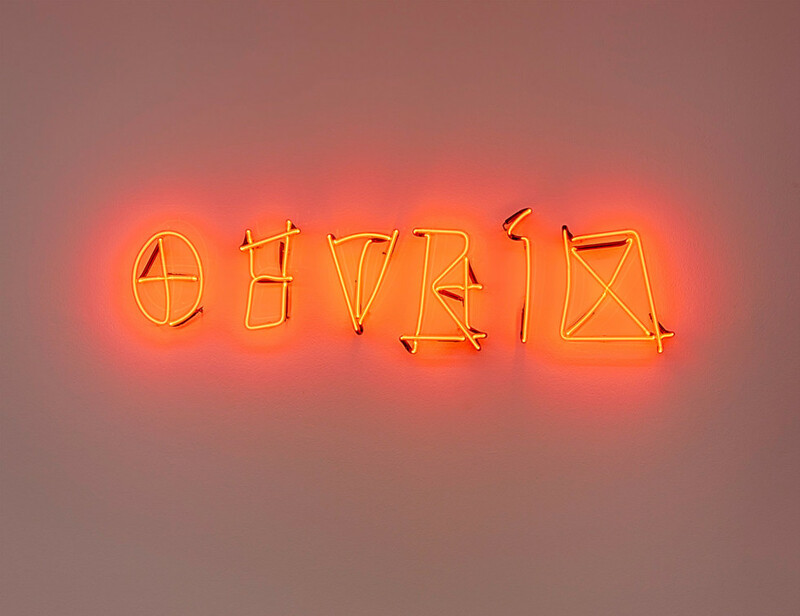 From the first major movements of modern art to the latest digital works, through abstract expressionism, minimalism and pop art, all forms of visual art that have marked history over the decades are highlighted in this exhibition. ‘Being Modern’ is a unique opportunity in Paris to discover the collection of MoMA – a global benchmark for modern art. The exhibition is co-organized by The Museum of Modern Art, New York, and Fondation Louis Vuitton, under the direction of Glenn Lowry (Director, The Museum of Modern Art) and Suzanne Pagé (Artistic Director, Fondation Louis Vuitton). The exhibition is curated by Quentin Bajac from the MoMA assisted by Katerina Stathopoulou (Assistant Curator, MoMA), with Olivier Michelon (Curator, Fondation Louis Vuitton). The archival section is organized by Michelle Elligott (Chief of Archives, MoMA). Can a work of art make you question the way you see the world? Can it change your concept of reality? Welcome to a contemporary group exhibition examining what Öyvind Fahlström’s ideas of manipulation and the theatrical might mean today. The exhibition takes over both floors of the museum, with 25 artists responding to these questions with works that react and infringe on the world. When Öyvind Fahlström developed a series of paintings with movable parts in the 1960s, the intention was not just to mobilise the painting’s narrative, the variable works also expressed an attitude towards society and politics. Fahlström was part of a Zeitgeist that wanted to redress static and authoritarian narratives and make the world a place that can be manipulated by everyone. This exhibition questions the current state of art’s manipulative possibilities – in a time of alternative facts, relative truths and fragmented narratives. Four historical works by Fahlström create the playing field for the exhibition. Lawrence Abu Hamdan, Rosella Biscotti, Aslı Çavuşoğlu, Juan Castillo, Kajsa Dahlberg, Detanico Lain, Roza el Hassan, Öyvind Fahlström, Goldin+Senneby, Núria Güell, Candice Lin, Jill Magid, Ibrahim Mahama, Nicolas Mangan, Sirous Namazi, Rivane Neuenschwander, Otobong Nkanga, Pratchaya Phinthong, Katarina Pirak Sikku, Natascha Sadr Haghighian, Jonas Staal, Hito Steyerl, Suha Traboulsi in collaboration with Walid Raad, Thu Van Tran, Alexander Vaindorf. The exhibition, “Flâneuses” brings together five of the artists who have participated in the Turkey Workshop at Paris’ eminent Cité Internationale des Arts Artist Residency Programme. The exhibition, curated by the Director of the Istanbul Biennial Bige Örer, will be open at the French Cultural Centre from September 13 to November 3. The “Flâneuses” exhibition hosts the artists Aslı Çavuşoğlu, İnci Furni, Güneş Terkol, Yasemin Özcan, and İz Öztat & Zişan, who have worked at the Turkey Workshop in the Cité des Arts over different periods, with works all based on “flânerie”. Thinking has changed radically, but many people don’t appear to have noticed. Our institutions have been stuck on linear Neo-Platonic tracks for 24 centuries. These antiquated processes of deduction have lost their authority. Just like art it has fallen off its pedestal. Legal, educational and constitutional systems rigidly subscribe to these; they are 100% text based. ‘You probably think of Doublethink as a negative concept. We in Russia think of it as just the beginning,’ says Russian artist, Pavel Pepperstein. The exhibition starts with Moscow Conceptualists who were not acknowledged as artists by the state in 1970s and 80s, so had to form a new way of communication and showcases a new balance in thinking between text and image through the work of 34 artists from all around the world. The exhibition title alludes to George Orwell’s seminal work 1984 and presents a selection that includes Tracey Emin, Marcel Dzama, Anselm Kiefer, Bruce Nauman, Raymond Pettibon, and Thomas Ruff, as well as Turkish artists, tracing the steps of pluralistic thought through works of art. This two-day screening presents a selection of short videos by artists whose work critically explores today’s political climate as social injustices intensify on a national and global level. Running concurrent with the talks and workshops at the People’s Summit, Breakout Sessions: Artist Takes provides a space where the creative expressions of artists intersect with the debates and discourses in this Chicago convening. Many of the artists’ works in this video program use a variety of narrative forms to deepen awareness and unravel hidden layers of oppressive systems that are currently affecting society. Featuring interviews, performances, protests, journeys, and dystopias, they enhance the visibility of people who face, and resist, threats including global warming, deunionization, and mass incarceration. In other works, artists focus on recontextualizing historical artifacts that impact present-day cultural conversations, raising questions about gender equality, government surveillance, and processing collective trauma. Additionally, several of the artists address the experience of navigating our radically changing reality on a broader level, revealing the underlying anxieties of being a human nowadays, as we increasingly encounter neofascist and neoliberal ideologies. Employing a wide range of formal and conceptual approaches, the artists’ works on view at the People’s Summit directly and indirectly raise compelling questions about current transformations of global society, offering new perceptual modes to comprehend this ever-complex time. Videos vary in length; and will be running on a loop during the following times: Saturday, June 10, 12:30 – 7:00pm; Sunday, June 11, 7:00am – 3:00pm. How is law established and manifested in language, signs and objects? How do we relate – and what relates us – to its forms of manifestation, materialization and institutionalization? The superposition of virtual and physical spaces, progressive economic and political interdependencies and globalization require the reconsidering of traditional forms of legitimation and jurisdictions. What does it mean if the legal subject is replaced by quasi-objects, algorithms and new technological developments? What impact does this have on our understanding of action and legal capacity? Future Tense // Audio, English, 50 min. The workshop organised by Khoj* and hosted at the premises of Orijit Sen in the Old Pereira House at the island of Corjeum, Goa. Participating artists include Zarouhie Abdalian (USA), Yang Lu (China), Danushka Marasinghe (Sri Lanka), Rasel Chowdhury (Bangladesh), Farhana Marzia (Bangladesh), Sergiy Petlyuk (Ukraine). The Indian artists are Baptist Coelho, Shailesh BR, Sahil Naik, Katyayini Gargi, Parul Gupta, Minam Apang and Gagan Singh. The working group of artists from Goa includes Karishma D’Souza, Shilpa Mayenkar, Diptej Vernekar and Bhisaji Gadekar. Rosalyn D’Mello will be the critic in residence. * The idea of Khoj began in 1997 as a gift of possibility given by Robert Loder, founder of the Triangle Arts Trust. At a time when South Asian artists felt isolated and unsupported, Khoj provided the possibility for young practitioners to create an open-ended, experimental space for themselves, on their own terms. Khoj would be a space where they could make art independent of formal, academic and cultural institutions; outside the constraints of the commercial gallery. Khoj began in 1997 as one such Khoj International Workshop, that brought together artists from all over the world, with an emphasis on the Global South.Khoj continues to be a space for Artists run by artists. Drafted by Carolyn Christov-Bakargiev, Marcella Beccaria, Elena Volpato and Elif Kamisli, with advice from Vittorio Gallese and inspired by Michael Taussig and others, this exhibition investigates the use of color in art through the presentation of 400 works by over 125 artists from around the world, dating from the late 17th century up to today. This exhibition is about colors, pigments, dyes and poisons. Fluorescent colors appear because they have light in them, just like on our screens today. We see more and more RGB colors, and they are saturated and bright, standardized and digital. There will be works by artists and others, including: Anonymous Tantra drawings, Carla Accardi, Bas Jan Ader, Etel Adnan, Hilma af Klint, Josef Albers, Giovanni Anselmo, Karel Appel, Arman, John Baldessari, Giacomo Balla, Robert Barry, Claude Bellegarde, Annie Besant (with Charles W. Leadbeater / painted by Lady MacFarlane & Mr Prince & John Varley), Jakayu Biljabu, Irma Blank, Norman Bluhm, Mel Bochner, Alighiero Boetti, Kerstin Brätsch, Alberto Burri, André Cadere, Corrado Cagli, Alexander Calder, Carlo Carrà, Felice Casorati, Enrico Castellani, Aslı Çavuşoğlu, Michel Eugène Chevreul, Mikalojus Konstantinas Čiurlionis, Tony Cragg, Carlos Cruz-Diez, Giuliano Dal Molin, Sonia Delaunay, Nicola De Maria, Fortunato Depero, Nicolas de Staël, Piero Dorazio, Olafur Eliasson, Bracha Ettinger, Lara Favaretto, Oskar Wilhelm Fischinger, Dan Flavin, Lucio Fontana, Katharina Fritsch, Vittorio Gallese, Giuseppe Pinot-Gallizio, Theaster Gates, Rupprecht Geiger, Leo Gestel, Piero Gilardi, Liam Gillick, Johann Wolfgang von Goethe, Gotthard Graubner, Giorgio Griffa, Gruppo MID, Paul Guiragossian, David Hammons, Camille Henrot, Auguste Herbin, Arturo Herrera, Damien Hirst, Channa Horwitz, Johannes Itten, Alexej von Jawlensky, Asger Jorn, Donald Judd, Wassily Kandinsky, Anish Kapoor, Ellsworth Kelly, Paul Klee, Yves Klein, Frantisek Kupka, Wolfgang Laib, Jim Lambie, Basim Magdy, Alberto Magnelli, Estuardo Maldonado, Antonio Mancini, Édouard Manet, Henri Matisse, Gustav Metzger, Piet Mondrian, Maria Morganti, Edvard Munch, Gabriele Münter, Sir Isaac Newton, Mario Nigro, Otobong Nkanga, Kenneth Noland, Hélio Oiticica, Giulio Paolini, Tancredi Parmeggiani, Pino Pascali, Eugénie Paultre, Giuseppe Pellizza da Volpedo, Heather Phillipson, Francis Picabia, Michelangelo Pistoletto, Sigmar Polke, Lea Porsager, Alejandro Puente, Walid Raad & The Atlas Group, Edi Rama, Gerhard Richter, Hans Richter, Gerwald Rockenschaub, Mark Rothko, Thomas Ruff, Friedlieb Ferdinand Runge, Luigi Russolo, Anri Sala, Mario Schifano, Shozo Shimamoto, Ettore Spalletti, Simon Starling, Haim Steinbach, Hito Steyerl, Mika Tajima, Atsuko Tanaka, Cheyney Thompson, Warlimpirrnga Tjapaltjarri, Luis Tomasello, Giulio Turcato, Joseph Mallord William Turner, James Turrell, Viktor Vasarely, Alfredo Volpi, Franz Erhard Walther, Andy Warhol, Liu Wei, Lawrence Weiner, Marianne von Werefkin, Ye Xianyan, Fahrelnissa Zeid, Gilberto Zorio. An exhibition of the work of the twenty one shortlisted artists will go on show at the PinchukArtCentre in Kiev on 25 February – 16 April 2017. The winner will be announced at an Award Ceremony in Kiev in March 16. The exhibition will be presented as an official collateral event at the Palazzo Contarini Polignac Venice Biennale opening on Thursday 11 May 2017. One diptych from Red / Red series is now part of British Museum collection! It’s officially fall this week, and we are—a little reluctantly—back to the grind. If you’re already planning your next escape, turn to Issue 5 of Even; we traveled widely to bring you smart writing on art and culture from across the globe. Start with Anna Altman’s essay on a new museum in Palestine, whose vacant galleries say quite a bit. Read about Cape Town, where young artists are tearing down public sculptures, and Venice, where Germans are trying, with mixed results, to think about migration and multiculturalism. We also hear from Asli Cavusoglu, a Turkish artist who found herself on an Italian island in the midst of this summer’s attempted coup. Two diptychs from Red / Red series is now part of MoMA collection! Muthoscapes on the cover of Kunstforum! A Few Hours After the Revolution is at Museum für Neue Kunst Freiburg until 09/10/2016. Guest curated by Dina Deitsch, “On Exactitude in Science” features four artists—Jennifer Bornstein, Aslı Çavuşoğlu, Jumana Manna, and Elizabeth McAlpine—who directly address the materiality of architectural surface to question means of representation. In their, prints, photograms, sculpture, and performances, the artists present direct captures of the myriad of details that coalesce to form a given site. In doing so, they argue for a form of indexical representation that is grounded in material and experience, favoring touch over vision, and the fragment over the completed image. The title of the exhibition is borrowed from Jorge Luis Borges’ short cartographic parable, “On Exactitude in Science,” in which he describes an empire that maps itself in such detail that it creates a useless document the very size of the kingdom. As the empire recedes, the map frays and becomes the tattered remnants of its existence—the representation outlives the original. Borges’ text takes on a different immediacy in today’s world of image saturation. Through analog techniques, the four artists featured in this exhibition use models of image and object making pulled from historical photography to archaeology. The 1:1 ratio of representation offers us another way to consider the particularities and details of a place and a possible turn to historic techniques to revive lost relationships with the physical space of the present. Artist-in-residence in Li Galli from November 26th through December 9th, 2015. ‘Solar Fantastic’ is an innovative research, exhibition, and publication project that seeks to address the rich and sometimes fantastic historical narratives tying the modernities of Mexico and Turkey. The ancient worship of Sun in both places serves as a bridge for this comparative contemporary study of two very different yet very similar modern projects: post-Revolutionary Mexico and Atatürk’s Turkish Republic. The multidisciplinary project will follow the fictions and non-fictions that form the roots of national identity in each country using ancient, modern, and contemporary art, history, linguistics, archaeology, and anthropology. The curators Övül Ö. Durmuşoğlu and James Oles have invited an international group of artists, researchers and scholars such as Rossella Biscotti (Brussels), Mariechen Danz (Berlin), Mariana Castillo Deball (Berlin and Mexico City), Aslı Çavuşoğlu (Istanbul), Emre Huner (Istanbul), Pablo Vargas Lugo (Mexico City), Nicholas Mangan (Melbourne), Megan O’Neil (Los Angeles) to contribute to a series of conversations and public programs in Turkey and Mexico in Autumn 2015. Our discussion will move from histories of the Maya and Hittites, to the specific “pulp history” of the lost continent of Mu (supposedly the motherland of humankind), and then turn to broader ideas about the physical and conceptual power of the Sun (heliocentrism) and the role it has played in economics, culture and technology throughout history, from Maya Sun Temples to Sun Language Theory. Solar Fantastic is realized with the generous support by Jumex Foundation, Turkish Cultural Foundation, Embassy of Turkey in Mexico and Embassy of Mexico in Turkey. The School of Kyiv considers itself as an open societal project, therefore, admission to all its events and venues is free. The six schools integrated in the exhibition space are stages and places for reflection, debate, and work. Their classes bring together artists, intellectuals, activists, and students, who will be able to cooperate with their colleagues and a broad audience. Every school raises issues relevant for Ukrainian and European society, as well as political reactions to current challenges. The School of Abducted Europe. In different formats, like lectures, seminars, public discussions, and workshops, the School of Abducted Europe envisions and questions how another Europe can exist. Sanja Ivekovic ́ (Croatia), Emily Wardill (United Kingdom), Ivan Krastev (Bulgaria), Shalini Randeria (Austria), Timothy Snyder (USA), and Marci Shore (USA), among others, are contributing to the classes of the School. The School of the Displaced. Internally displaced persons will gather and share their experiences with artists who have become refugees for political reasons; they will work together with civic initiatives to explore how displacement can be political resistance and self-definition. The musician Rami Essam (Egypt / Sweden), “the voice of Tahrir Square”; Helge Lunde (Norway), the Head of the International Cities of Refuge Network (ICORN); the artists Ahmet Ögüt (Turkey), Milica Tomic ́(Serbia), Marina Naprushkina (Belarus), and Adelita Husni-Bey (Libya / Italy) are just a few of the fellows of the School. The School is co-curated by Marita Muukkonen and Ivor Stodolsky (Perpetuum Mobile, Finland – Germany). The School of Image and Evidence aims at deconstructing the status of image in current propaganda wars by using film production as an instru- ment for critical analysis of the war in Ukraine. Film directors, media activists, and researchers will work on a series of documentaries in collaboration with Ukrainian and international filmmakers. Among the participants are Serhiy Loznytsya (Ukraine / Germany), Hito Steyerl (Germany), Ruti Sela and Maayan Amir (Israel), Artur Żmijewski (Poland), Haim Sokol (Russia), Nataliya Gumenyuk (Ukraine). The School of Landscape. Landscape as a key notion of national imaginary and land as a territory of struggles and dreams are at the core of the classes of this school. Artists and geographers, poets and political theorists, historians and economists will explore cultural and political readings of this paradigm. Tetyana Zhurzhenko (Ukraine / Austria), Martin Pollack (Austria), Andreas Siekmann (Germany), Vladislav Shapovalov (Russia), Taus Makhacheva (Russia), Grupo Etcétera (Argentina), Igor and Ivan Bukharov (Hungary) are joining the School together with other local and international participants. The School of the Lonesome will work around emotional remains of revolutionary euphoria in the loneliness that follows its end. Activists who took part in uprisings on Maidan, Gezi, Tahrir, in Hong Kong, Russia, and Argentina will work on microdramas, poetic actions, and performances imagining a new political subject after its loss. These pieces will be elaborated together with theater performers and the general audience by artists including Zeino Pekünlü (Turkey), Graciela Carnevale (Argentina), Keti Chukhrov (Russia), Tony Chakar (Lebanon), Kwan Sheung Chi (Hong Kong). The School of Realism. Realism has a long and dominant history in Ukrainian art. Realism is a combat term in contemporary art. The school will be an arena where these different notions of realism will meet in theory and practice. The School of Realism will host classes and pieces by Dmitriy Gutov (Russia), Kazimir Malevich (Serbia), Doug Ashford (USA), Anke Hennig (Germany), John Miller (USA) curating a group of fifteen American artists, and others. Ukrainian participants of the School of Kyiv and a complete list of international contributors, as well as the biennial departments in Ukraine and abroad will be announced at a press conference in August. Artists / Sanatçılar: Laurence Aberhart (NZ), Jananne al-Ani (IRQ/UK), Kader Attia (DEU/DZA), Janet Burchill & Jennifer McCamley (AUS), Aslı Çavuşoğlu (TUR), Saskia Doherty (AUS), Cevdet Erek (TUR), Mekhitar Garabedian (BE/SYR), Fabien Giraud & Raphaël Siboni (FRA), Igor Grubic (CRO), Carlos Irijalba (ESP), Nicholas Mangan (AUS), Rä di Martino (ITY), Ricky Maynard (AUS), Callum Morton (AUS), Tom Nicholson (AUS), Jamie North (AUS), Şener Özmen (TUR), Justin Trendall (AUS) and James Tylor (AUS). Aslı Çavuşoğlu is concerned with how history can be read and questions who, or what processes, enables its writing and toward what end. These investigations, which have been articulated through various media, revisit key moments so as to locate the interwined dance between rupture and continuity as consciousness and its related identities are constructed and reconstructed. In the exhibition in Miroslav Kraljević Gallery the artist will show four works made in the period 2010 – 2011. The video In Diverse Estimations Little Moscow deals with the participatory democracy experiment that was carried out in the town of Fatsa in Turkey during 8.5 months and was forcefully brought to an end with a military intervention in July 1980. Afterwards, the mere mention of the event was forbidden and the memory of participatory democracy was almost forgotten. Her work A Small Mix-up shows how easy it is to manipulate the memory and relationship with the past through their modification. On the other hand, the work The Destruction of the Russian Monument at Ayestefanos speaks about the ingrained narrative lacking proof – it is widely believed that on the occasion of monuments demolition, the first Turkish film was made; however, the recording has never been found. The act of demolition is documented only in the two preserved photographs (before and after the demolition), and Çavuşoğlu construes that process in her work, filling the archival gaps of her own accord. The work 191/205, similarly to In Diverse Estimations Little Moscow, speaks about an attempt at forced amnesia – the General Directorate of Turkish Radio and Television Corporation’s decision to ban certain words under the excuse that they do not comply with the nature of the Turkish language, and that they are substandard. Among 205 forbidden words, we find: memory, remembrance, nature, movement, revolution, dream, theory, possibility, history, freedom, whole, life etc. The exhibition is supported by: Ministry of Culture of the Republic of Croatia, City of Zagreb – City Office for Education, culture and sport. Gallery Miroslav Kraljević is supported by Zaklada Kultura nova. Murder in Three Acts at Market Gallery! Market Gallery presents Aslı Çavuşoğlu’s Murder in Three Acts, a scripted crime drama rehearsed, performed, and filmed during Frieze Art Fair 2012 in the framework of Frieze Projects. The exhibition will include the screening of three episodes of Murder in Three Acts, along with behind-the-scenes footage of the process, filmed by Taylan Mutaf. The exhibition is accompanied by a new publication, commissioned by Market Gallery, including a new text by Kate Sutton, and design by Esen Karol. Aslı Çavuşoğlu, still frame from In Diverse Estimations Little Moscow, 2011. © Asli Çavuşoğlu. Commissioned by Borusan Aş. The film In Diverse Estimations Little Moscow (2011) by Turkish artist Aslı Çavuşoğlu, stages a series of fragmented, forgotten, and at times painfully remembered histories from a violent political suppression in the Turkish town of Fatsa in 1979 and 1980. Çavuşoğlu shot the film in Fatsa, enlisting untrained locals as actors, crew members, and information sources. Their presence adds a layer of naïve enthusiasm and increased intensity to the reenactments, as the actors are confronted with events from what are often their own families’ recent histories. The film opens as two dogs wander the interior of a dilapidated former factory building, used by the military as an interrogation and torture facility. Çavuşoğlu edits the series of short, disjointed vignettes that follow into a non-linear narrative that is visually and palpably coherent. Capturing the inconsistencies and mythologies that arise in the gaps between personal and collective memory and written history, she achieves a visually de-historicized estimation of the human experience of remembering events and forming memories. Cihan Aktaş & Aslı Çavuşoğlu konuşması: Kadın şapka giye ki asıla? Aslı Çavuşoğlu, Moving Museum İstanbul sergisi için ürettiği ‘Kadın Şapka Giye ki Asıla?’ projesinden hareketle yazar Cihan Aktaş’la birlikte 5 Aralık Cuma günü, 19.30’da SALT Galata’da bir konuşma yapacak. Türkiye’de Cumhuriyet modernleşmesi çerçevesinde kılık-kıyafet değişimini hedefleyen Şapka Giyilmesi Hakkındaki 671 no’lu, 25. 11. 1925 tarihli kanunun uygulanması süreci pek çok itiraza ve ayaklanmaya sahne oldu. Özellikle Rize ve Erzurum gibi şehirlerde batıyla özdeşleştirelen şapkayı takmak istemeyenler itirazlarını dile getirdiler. Dönemin olağanüstü yetkilerle donatılmış adalet merci İstiklal Mahkemeleri kararıyla resmi rakamlara göre yaklaşık 80 kişi şapka karşıtlığı nedeniyle idam edildi. 1925’te Erzurum’da idam edilenler arasında, bohçacı Şalcı Bacı lakaplı bir kadın da vardı. Türkiye’de siyasi nedenlerden ötürü idam cezasına çarptırılan ilk kadın Şalcı Bacı hakkında, idama giderken ‘Kadın şapka giye ki asıla?’ şeklinde isyan ettiği rivayetinden başka fazla bir bilgi bulunmuyor. Cihan Aktaş ve Aslı Çavuşoğlu, gerçekleştirecekleri konuşmada Şalcı Bacı hakkında bilinenler ve bilinmeyenler üzerinden Erzurum’da 1920’lerde yaşamış bir bohçacı kadın portresi çizmeyi amaçlıyor. Şapka takmadığı halde Şapka Kanunu’na itiraz mahiyetinde değerlendirilen eylemlere katıldığı gerekçesiyle 22 erkekle birlikte idam edilen Şalcı Bacı üzerinden sürdürülecek konuşmalarda Türkiye’de geçmişten bugüne kadın hareketleri, devletin sürdürdüğü toplum mühendisliğinin kadın kimliğine yansımaları ve bugüne etkileri de irdelenecek. İstanbul doğumlu sanatçı Aslı Çavuşoğlu projelerinde kültürel ve tarihsel bilgilerin dönüşümünü, temsiliyet ilişkilerini ve farklı bireylerin yorumlama yöntemlerini inceliyor. Farklı görsel araçlar kullanan Çavuşoğlu, çoğu zaman yorum ve anlatı arasında arabuluculuk yaparken, ortak tarihlerin istikrarsız ve sübjektif doğasına dikkat çekerek bu farklı deneyimlerin sınırlarını sorguluyor. 1960, Erzincan doğumlu yazar Cihan Aktaş mimarlık eğitimi gördü. Çeşitli araştırma kitapları yanı sıra öykü ve romanlar yazdı. İran sineması üzerine bir kitabı var. İlk kitabı Sömürü Odağında Kadın 1985 yılında yayımlandı. Gazeteci ve okutman olarak çalıştı. Mimarlık yazıları 2015 yılı başında Geriye Kalan Şehir başlığıyla yayınlanacak. Halihazırda “Ferhat, Şirin ve Hüsrev” efsanesini günümüze taşıyan “Şirin’in Kulübesi” romanı üzerinde çalışıyor. Dunyabülteni.net, hayalperdesi.net ve sonpeygamber.info sitelerinde yazıyor. Aktaş, Şalcı Bacı’nın acıklı hikayesiyle 1988’de Tanzimat’tan Günümüze Kılık Kıyafet ve İktidar başlıklı kitabı için Beyazıt Kütüphanesi arşivinde çalışırken karşılaştı. Kadın şapka giye ki asıla? etkinliği SALT Galata tarafından ağırlanmaktadır. In ‘Monumental Seduction’ (1996), Andreas Huyssen suggested that historical, aesthetic and national contexts, along with political and cultural effects, dominate our understanding of the monumental, articulating the issue of the monumental in relation to memory and modernity. Bringing together the works of Aslı Çavuşoğlu, Iman Issa, Christian Jankowski, Amina Menia, Seher Shah and Santiago Sierra, Proposals on Monumentality attempts to twist and open up our perception of monumentality along with complex dynamics of commemoration, space and power. Curated by İpek Ulusoy Akgül, the exhibition poses a set of questions for us to reflect upon: Can monuments go beyond representing the past and evoking collective memory? Is it possible for them to resist absorption into memorial narratives? How can monuments express fragmentation and forgetting? * Exhibition view of The Demolition of the Russian Monument at Ayestefanos. “Excuse My Dust” is a two-day program comprising of screenings, lectures, and discussions with artists and curators from Poland and Turkey who employ historical materials in their practice. The programme problematizes the issue of “display” in the context of contemporary interest in history; on the one hand, showing how artists investigate and expose historical material in their works, and on the other, how curators and institutions work with history. Taking place in a historical, social-realist interior, whose essence is “display,” the event creates a formal framework for the presented works and phenomena. The Stones Talk exhibition book has been awarded by AIGA as the best-designed books and book covers of 2013! You can order your copy from here. Murder in Three Acts at PAC! Witte de With Center for Contemporary Art is proud to announce The Crime Was Almost Perfect – an exhibition that brings together over forty artists who cross the bridges linking art and the aesthetics of crime. The Crime Was Almost Perfect is also the first exhibition to present works in the new exhibition space on the ground floor of the institution. Participating artists: Saâdane Afif, Kader Attia, Dan Attoe, Dirk Bell, Guillaume Bijl, Bik Van der Pol, Jean-Luc Blanc, Monica Bonvicini, Ulla von Brandenburg, Asli Çavusoglu, Mike Cooter, François Curlet, Brice Dellsperger, Jason Dodge, Claire Fontaine, Gardar Eide Einarsson, Matias Faldbakken, Keith Farquhar, Dora Garcia, Douglas Gordon, Eva Grubinger, Richard Hawkins, Karl Holmqvist, Pierre Huyghe, Joachim Koester, Gabriel Lester, Erik van Lieshout, Jonas Lund, Jill Magid, Teresa Margolles, Fabian Marti, Han van Meegeren, Dawn Mellor, Rupert Norfolk, Raymond Pettibon, Emilie Pitoiset, Olivia Plender, Julien Prévieux, Rodolphe Archibald Reiss, Lili Reynaud-Dewar, Aïda Ruilova, Allen Ruppersberg, Markus Schinwald, Jim Shaw, Noam Toran, Herwig Weiser. View from the Murder in Three Acts performed at Frieze London, 2012. Nesrin Esirtgen Collection is pleased to present a group exhibition this winter guest- curated by Nazli Gurlek. The exhibition is titled Trocadero and it brings together historic and newly produced works, as well as archival material that are not part of the collection. Pieces in the exhibition question notions of repetition as creative process, interpretation as content, performance as document, style as concept, intellectual property as common denominator, and viewer as object of interest. Trocadero finds its inspiration in the context of a variety theater of the same name long gone, in which it is situating itself. The Trocadero Theater opened its doors during the second half of the 19th century, and was located where Misir Apartmani stands now remaining there until 1905, when the Misirli Abbas Halim Pascha bought the land to have a winter residence built for his family. The aim of the exhibition, however, is not to analyze the story of Istanbul’s urban or social development, the touristic associations the name Trocadero offers, or the history of this theatre. The exhibition turns to the myth of this theater 109 years after its demolition in order to try out a new exhibition model: It brings together works at whose center of production lie the notions of repetition, interpretation, and transformation in various forms; it transposes the functioning rhythm of the lost theater into the gallery, aiming to communicate with viewers through the possible moments of déjà-vu, which this rhythm is expected to induce. What happens if, rather than dismantle, destroy or reconstruct, we repeat, add, interpret, transform, and derive historical constructs and creative impulses instead? Delfina Foundation is pleased to present the UK premiere of the final instalment of Asli Çavuşoğlu’s critically acclaimed Murder in Three Acts – a scripted crime drama originally rehearsed, performed, and filmed in real time using a crew of professional actors and producers. Commissioned as part of Frieze Projects 2012 through a residency at Delfina Foundation, this is the first time that all three completed episodes have been shown together in the UK. In anticipation of the official unveiling of Delfina Foundation’s expansion in January 2014, the screening of the Murder in Three Acts offer visitors a special preview of the partially renovated space on the occasion of this year’s Frieze Art Fair. Each film follows three detectives on their quest to solve a murder that has taken place in an exhibition space where artworks appear as both clues and weapons. Mimicking the fast paced, slick style of well-known crime dramas such as CSI, the project draws parallels between forensic experts and art professionals, based on their methodologies of extracting the ‘truth’ from physical artefacts. Murder in Three Acts, through the comparison of these two distinct tradecrafts, seeks to underline the construction and legitimisation of a story when it is anchored by expertise. The three episodes of Murder in Three Acts will be presented alongside a behind-the-scenes documentary filmed by Taylan Mutaf. Additionally, the props from the series return to the exhibition as objects in their own right – highlighting the speculative nature of building a collection – whether of evidence or of art. The process-based nature of unravelling the work, originally at Frieze and now set against the backdrop of the Delfina Foundation’s unfinished space, is a nod to the piecemeal transformation of an object into a readable text in the process of interpretation or analysis. Murder in Three Acts is a result of a collaboration between Frieze Foundation, Manifold Projects, Galeri Non and Delfina Foundation’s artist-in-residency programme which provided a six-week residency for Çavuşoğlu in Autumn 2012. The exhibition is presented in partnership with Galeri Non. Delfina Foundation, currently located in a period townhouse in Victoria, London, will expand into the adjacent building, doubling its residency and exhibition space, to become the largest host of international residencies in London when it reopens in January 2014. Aslı Çavuşoğlu drifts into its ancient depths, bridging the Asian mountains with Witte de With in search of delirium, absentness, and the intangibility of the sky. At the heart of her project lies lapis lazuli’s transition from sacredness to its stature as a color today. Playstation is proud to invite you to the group exhibition ‘The unexamined experience is not worth having’, which brings together works by Yael Assaf, Asli Çavuşoğlu and Lukas Hoffmann. Departing from Lucy Lippard’s modus operandi in her book ‘On the Beaten Track; Tourism, Art and Place’ (2000), this exhibition moves between the labyrinths of lived experience and personal geography; between grasping reality, mediating memories and the solitary quest for inexpressible meaning. The model of American Bar by Adolf Loos. Words Dash Against the Facade at MAK Museum on April, 20. SIGNS TAKEN IN WONDER surveys the work of 33 international contemporary artists, born between the 1920s and the 1980s, whose art work engages with aspects of the culture, history, and daily life of Istanbul, one of the world’s great metropolises. Istanbul has been fascinating people for centuries—the exhibition carries that fascination into the 21st century. HIS MASTER’S VOICE: On Voice and Language is an exhibition on the performativity of voice and language, the inauthenticity and uncanniness of speaking, voice as a political speech act, and language as performative utterance. The exhibition will examine the ‘urge to speak in contemporary art’ (Sabine Maria Schmidt). Artists are increasingly interested in speech acts and the corporeality and performativity of the human voice, tackling a broad range of issues from the analysis of the voice as an indicator of presence and identity to examinations of historic and contemporary political rhetoric, including such extreme forms as hate speech. NON presents Asli Çavuşoğlu’s Murder in Three Acts, a scripted crime drama rehearsed, performed, and filmed during Frieze Art Fair 2012 in the framework of Frieze Projects. Utilizing the modus operandi and parlance of television crime dramas, the project compares forensic experts with art professionals, based on their methodologies of extracting the ‘truth’ from physical artifacts. Murder in Three Acts, through the comparison of these two distinct tradecrafts, seeks to underline the construction and legitimization of a story when it is anchored by expertise. The process-based nature of unraveling the work, at Frieze and now at NON, is a nod to the piecemeal transformation of an object into a readable text in the process of interpretation or analysis. The exhibition will include the screening of three episodes of Murder in Three Acts, along with behind-the-scenes footage of the process, filmed by Taylan Mutaf. Additionally, the props in the series return in the exhibition as objects in their own right. Seen together, they form a collection that hints at the proliferation of stories that arise from their juxtaposition, underlining the speculative nature of building a collection—whether of evidence or art. Aslı Çavuşoğlu and Gallery NON would like to thank to Merve Ünsal, HG Masters and İlkay Baliç. The Contemporary Art Series of artists books, initiated by Art-ist publications, presents unique monographs of work by emerging artists who do not have a publication on their work yet. The series aims at documenting practices as they manifest and creating a space for evaluating each artist’s practice through most of their works. The books published to date are Ahmet Öğüt: Informal Incidents (2008), followed by Bashir Borlakov: Fictional Reality (2009), Can Altay: Pigeons are People (2010) and A Şener Özmen Book (2011). Mercury in Retrograde is the fifth book in the series, which focuses on Aslı Çavuşoğlu’s artistic production since 2004. 191/205 is at Material Information curated by Juan A. Gaitan. Art Museums of Bergen Permanenten from September 28th and January 31st 2013. 191/205 at Gelbe Musik, Berlin! Conceived and hosted by Defne Ayas and Aslı Çavuşoğlu, Steam Society is a banquette of all sorts at the Historical Galatasaray Hammam (b.1481), offering a purification hub to all Biennial guests with the participation of Ayla Algan, Julieta Aranda, Özgür Erkök, Juan Gaitan, Adam Kleinman, Darius Mikšys, Francesco Pedraglio, Güneş Terkol, Elif Uras, Bedwyr Williams, Pınar Yolaçan and many other exceptional guests.